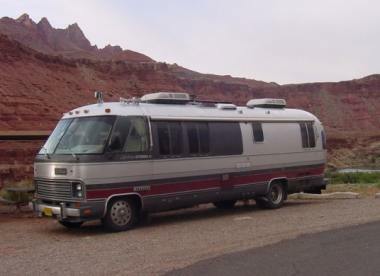 1990 Airstream 290 Exhibit "A"
CLASSIC. Chev 454 w/cruise and overdrive. 69,000 original miles; 8 mpg, runs great. Everything works. 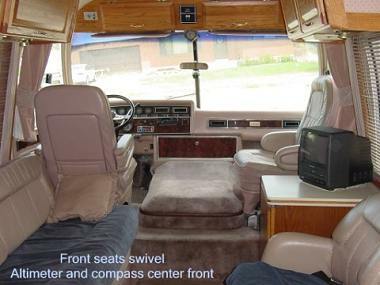 Leather/fabric upholstery; carpet/hardwood floors; oak cabinets with cedar-lined closets; twin beds. Full-span awnings on both sides; power stairs; doorbell! Onan generator;Corian counter tops; great furnace; 2 A/C units; security system; solar panels recharge batteries.